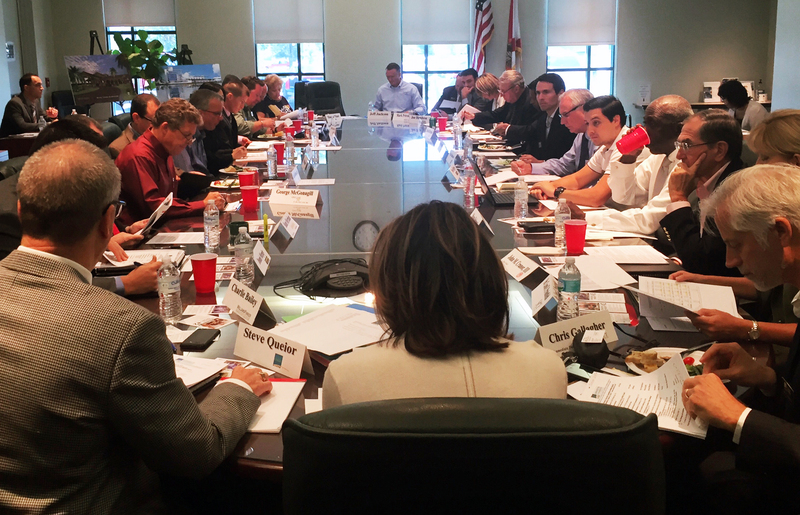 Recently, your Chamber Board of Directors met to review strengths, weaknesses, threats, and opportunities facing our member employers, our Chamber itself, and the greater Sarasota community. To stimulate their discussions, they started the work session by looking at eight trends that will affect your businesses, local organizations, and The Chamber between now and the year 2025. As we approach our 95th Annual Membership Meeting and Luncheon, we reflect on success of the past year, but also look to the following priority areas and objectives for our fiscal year running from October 1, 2015 to September 30, 2016. Transportation: Increase the focus of The Chamber on strategizing and advocating for smart transportation and transit solutions that will best move our residents, workers, visitors, and customers for many years into the future. Comprehensive Plan: Provide specific input to the update and revisions of the County Comprehensive Plan, which is hugely important in guiding investment and increasing the economic competiveness of our community. CRA: Work to extend this vital business, community, and economic development Community Redevelopment Area tool beyond its current expiration date of 2016. Bayfront 20:20: Continue to be a charter and active member of this coalition that is working to maximize the potential of the publicly-owned 42 acres on the Sarasota bayfront. Affordable/Workforce Housing: Working to meet the needs of a spectrum of individuals ranging from those temporarily homeless to rank-and-file employees of our schools, hospitals, and law enforcement; strategic efforts to increase the supply of housing available to workers will be a priority. Talent4Tomorrow: Building on the recently-launched activities of this coalition, new initiatives will grow in the community, such as the Local College Access Network, to increase our area’s educational attainment and workforce preparedness. Small Business Recognition and Assistance: Given that the bulk of employers in our economy, and the majority of members in the Chamber, are employers with less than 25 workers, attention will be devoted to helping these firms that comprise the backbone of the community. Leadership and Entrepreneurial Development: Plans are in place to grow both of these critical assets, such as through the launch of the Young Entrepreneurs Academy (YEA!) program. Information for You: Through Chamber Member Intel surveys, mini-white papers on key topics, Chamber University sessions and more, we will work to bring you more information that will help you run your operation more successfully. The Best Functions and Events: As business and community leaders, partners, and customers connect at these Chamber meetings, continuous quality improvement techniques will be applied to all of our functions – ranging from small and mid-sized monthly events to larger annual activities. Of course, moving the ball forward on each of these significant ten objectives is only done through extensive teamwork – including the dedicated professional staff at The Chamber, the almost 300 hard-working volunteers, and the over 1,500 member employers. We thank you for all your participation and support in the past, and look forward to a great year working with you as we march toward 2016! View the full list of Chamber Board members here.